In every life, there is at least one transformational teacher: a person whose insights spark change and whose influence endures. An educator whose knowledge ignites new passion. A family member whose values guide decades of choices. An expert whose skills open up new possibilities. A leader who spurs inner transformation. A coach who sees something more or greater. It might be a parent or pastor, a colleague or child, a manager, a friend, a hero. It might be someone sitting across a classroom, office, or kitchen table…someone miles or even countries away…even someone from a long-ago era, met only through the pages of a book. Gathering the experiences of businesspeople and creative artists, athletes and analysts, recognizable names and extraordinary ordinary Americans, The Mentor that Matters invites readers to hear sixty unique voices speaking about a person that changed their lives. Each story is different. Yet each also illustrates the common bonds we share, including our human capacity to change and our gratitude for those who help us be the best that we can be. The Mentor that Matters will become go-to reading for anyone interested in personal growth, human excellence, or the trajectory of lives of achievement. 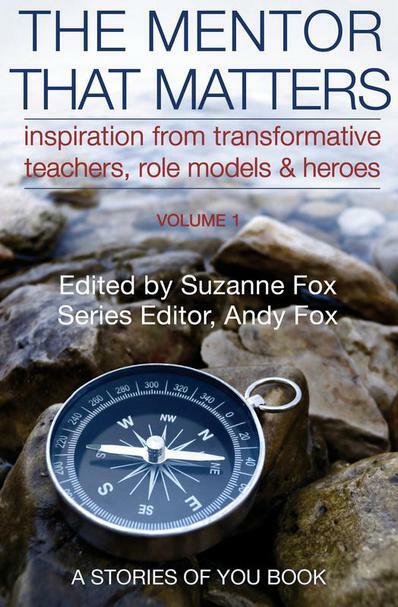 The Mentor that Matters: Inspiration from Transformational Teachers, Role Models and Heroes is edited by siblings Suzanne Fox and Andy Fox. A book industry veteran with over thirty years of experience in writing, editing and publishing, Suzanne is a regular reviewer for Publishers Weekly; the founder and editor of the online journal Society Nineteen; the author of books including Home Life: A Journey Through Rooms and Recollections (Simon & Schuster); and an editorial, book structure and book marketing consultant who has worked for clients including the City of New York. With expertise in finance, systems, and leadership and effectiveness training, Andy's experience helping one of his twin sons through treatment for life-threatening cancer has given him a deep understanding of the value of expert and inspiring mentors and the importance of expressing and preserving personal legacy.